For most Golden Valley High School students, Wednesday, Feb. 6 was just another school day in the Santa Clarita Valley. But for softball player Sophia Medellin and track & field and cross-country athletes Shyann Franklin, Brooke Milam and Daniel Rush, the day had much more meaning. Signing their National Letters of Intent (NLI), Medellin and Franklin will head off to continue their respective careers at the University of California, Berkeley, while Milam and Rush will stay local, signing with The Master’s University. Medellin was part of Golden Valley’s most historic softball team that won a program-best 18 games in 2017 and finished her junior year as the Foothill League’s top hitter finishing with a batting average of .536 on 30 hits, 38 RBIs and eight home runs in 56 at-bats. Franklin will join Medellin at Berkeley, but will join the track & field team and compete in the discus and shot put. A dual-sport athlete, who led the Grizzlies girls basketball team averaging a double-double with 14.5 points and 10.8 rebounds per game this season, she broke the Foothill League shot put record at CIF state prelims with a throw of 46-05. Franklin placed second in the shot put in the finals the very next day in her first appearance at the state meet. 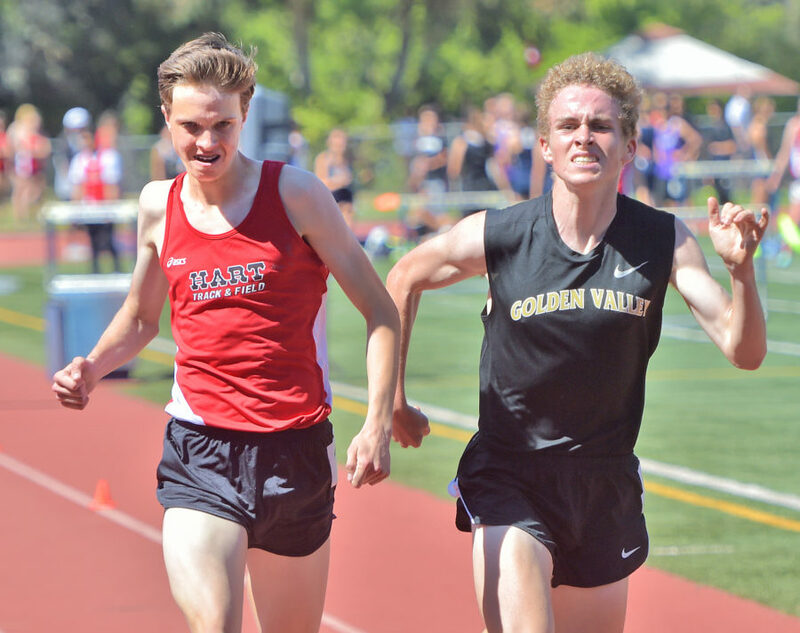 Rush will continue his running career with the Mustangs after ending his high school cross-country career with a third-place finish at Foothill League finals. Following it up with an 11th-place finish at CIF-Southern Section finals to qualify for the state meet as the lone Golden Valley representative. 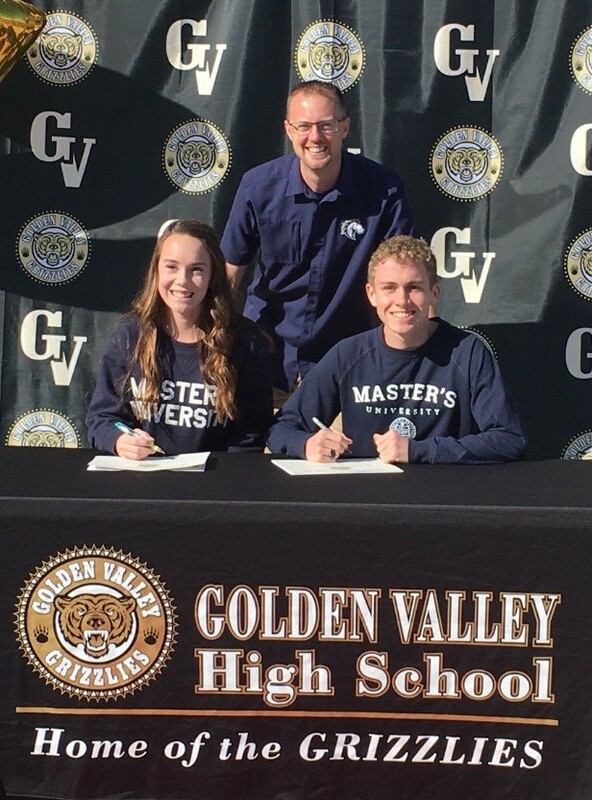 Golden Valley’s Brooke Milam and Daniel Rush will continue their cross-country and track & field careers at The Master’s University. Milam joins Rush at The Master’s University after having a productive cross-country season in 2018, setting new personal records in the 3-mile race at Cool Breeze Invitational (19 minutes-42 seconds) and in the 5-mile race at The Master’s University XC Invitational (21:09.06). Both runners will compete in the track & field season and cannot wait to show what they have for one last go around. “This track season, I would love to return to the state meet and get a school record or two, especially in the 32. I want to see how low I can get my time on that and just do what I can and go out with a bang,” Rush said.